Energy healing is using the flow of universal energy to unblock and balance our energy bodies. As a result this promotes relaxation and healing in the body. Everything and everyone is energy. Also everyone has four bodies of energy. They are Mental, Emotional, Physical, and Spiritual. These energy bodies over time can become out of balance or blocked and as a result our life can become unbalanced as well. Mental – This will include our thoughts, attitudes, judgments, and prejudices. It is also how we perceive our worth and the value that we give ourselves in the world. It represents our communication, our analytical thought, and even how we contribute to society. Emotional – This includes the nervous system, hormones, tears, bloating, not letting go, feelings of lack, and trying staying in control of things. It represents how we interpret our experience in the world. Physical – Our physical body. It represents our physical experiences in the world. Spiritual – This is our connection to everything. We are connected to a Universal Source (GOD), the earth and also everything and everyone that exists. This also represents the unity of all things. All of these bodies must be in balance to have a totally healthy life. Energy healing is a holistic approach to balancing these energies. There are many energy healing techniques. Below are a few energy healing types with a little explanation of the technique. Reiki – Reiki is a Japanese energy healing technique used for stress reduction and relaxation that also promotes healing. It complements medical healing which helps the body heal itself. It is not a substitute for traditional medicine. Distant Reiki -Reiki can be done from a distance and also it can be done from anywhere. You do not have to be in the same room to benefit from Reiki. You will get the same results from where ever you are. Chakra Balancing – Chakras are energy centers in the body. There are seven major Chakras and these energy centers when blocked or unbalanced can obstruct the flow of energy through our bodies. In addition this has an effect on our emotional, mental, and physical well being. As a result we can feel unbalanced. When kept in balance we will feel much more balanced in all areas of our lives. Crystal Healing – Uses crystals to heal and balance the body. Sound Therapy – Uses sound frequencies to balance the body. Acupuncture – Clears blocks in the energy pathways (meridians) of the body. There are many techniques to unblock and clear our energy bodies. Above are only a few. Energy healing is not a substitution for seeing a medical doctor. It is to be used in conjunction with to promote healing by balancing and relaxing the body. 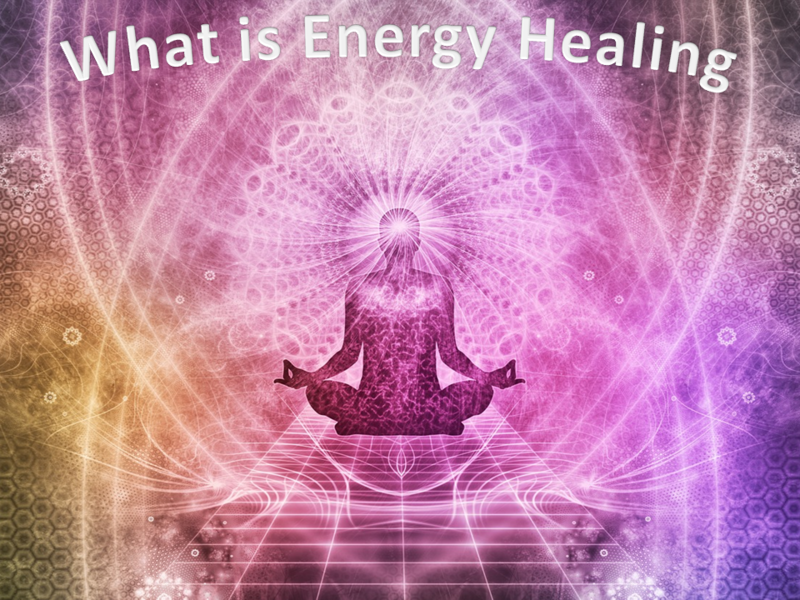 What has your experience been with Energy healing? Post a comment below. We’d love to hear it. Very interesting how different cultures approach healing. Thanks for sharing. Nice. I have just gotten interested in metaphysical connections. Good place to start. So interesting! I know very little about this topic – and I’m so glad to learn more about it! I am a firm believer in a holistic approaches and I think it is so important for people to look into, especially the mental health piece. Thanks so much for sharing! I really don’t have very much experience with this. I think I need to learn more. It would be interesting to see how some of these affect my body. I am always interested into natural and holistic healing versus medications. Great info! This topic is so intriguing to me. I learned about chakras this summer. Thank you for sharing this. This is very fascinating. Thanks for explaining, I think I understand a bit better now. I have never experienced energy healing before. I do have days where no matter what I do, my body just feels off or unbalanced. Very interesting. I’ve never tried any of the healing methods other using oils for pleasing scents.